BANGKOK, March 15, 2019 – On the heels of &Green Fund’s announcement of its $23.75 million purchase of TLFF I long-dated sustainability bonds, experts are discussing the challenge – and necessity – of measuring impact in land-based investments. Founded in 2018, &Green Fund focuses on commercial agricultural investments that protect and restore tropical forests and peatlands. It is investing in a $95 million green bond that Tropical Landscapes Finance Facility (TLFF) created in 2018 to help finance sustainable rubber plantations in two heavily degraded landscapes in Indonesia. The U.S. Agency for International Development (USAID) provided a partial loan guarantee that covers up to $33.25 million in losses to reduce investor risk. Consumers of rubber – a $30 billion market – are increasingly demanding more sustainable production. Since 2016, six of the world’s leading tire manufacturers have committed to responsible rubber sourcing. 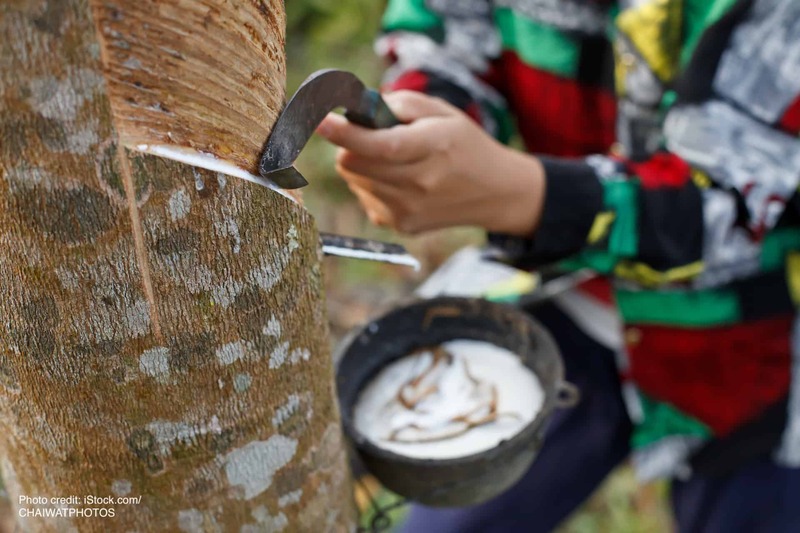 Indonesia produced almost 3.8 tons of natural rubber in 2018, making it one of the world’s leading producers. USAID Green Invest Asia, a finance initiative linking sustainable agricultural and forestry companies in Southeast Asia to capital, conducted a carbon assessment to determine the carbon footprint for the investee, Royal Lestari Utama (RLU), to consider direct and indirect emissions associated with its operations; this includes transportation, mill operations and consumed energy, as well as the company’s carbon stock. RLU required the carbon assessment to unlock financing. For Sanjiv Louis, investment director of Southeast Asia at Sail Ventures, which manages &Green Fund, third-party impact studies, such as the one conducted by USAID Green Invest Asia, are a deciding factor in its investments. “Independent, expert studies and evaluations to supplement &Green Fund’s own due diligence efforts with RLU, or similar project companies, are crucial to inform our investment decision,” said Louis. Michelin, one of the plantation’s owners, has committed to purchasing 75 percent of the plantation’s climate-smart, wildlife-friendly rubber. Of the 90,000-hectare (222,000-acre) concessions in Jambi, Sumatra and East Kalimantan provinces, only 34,000 hectares will be planted with commercial rubber, with the rest set aside for community livelihoods and conservation, including a 9,700 hectares designated wildlife conservation area. At maturity, entering the plantations’ eighth year, the company is expected to provide up to 16,000 fair wage jobs. The project also provides a combination of land, technical and finance to an estimated 3,500 rubber smallholder farmers. At maturity, the plantations are expected to represent up to 10 percent of Michelin’s global natural rubber, so getting the balance right among the people, conservation and commercial aspects of the project is critical, said Lisa Genasci, CEO of ADM Capital Foundation, which is the nonprofit arm of ADM Capital, a Hong Kong-based investment manager. ADM Capital is a founding member of TLFF, which seeks to foster low-carbon growth in Indonesia. Many private investors have long shied away from investing in Asia’s agriculture, forestry and other land use sectors, according to the United Nations Environment Program and DBS Financial Services, which estimate a near $400 billion gap in environmentally-friendly, low-carbon, climate-resilient investments up to 2030 in Asia. Companies’ ability to balance competing interests (commercial, people and conservation) in complex landscapes is key to closing this funding gap – as are partnerships that leverage strengths from all sectors, said Genasci. USAID Green Invest Asia partners with companies and investors to unlock investment into sustainable agriculture/forestry and reduce carbon emissions in Southeast Asia. Founded by U.S. Agency for International Development in late 2017, the initiative is vetting a pipeline of sustainable businesses in Vietnam, Cambodia, Indonesia and Philippines, and matching qualified companies with capital.